HisPotion features stuff men like. Covering topics from lifestyle to gear to beautiful women, and always keeping things simple. 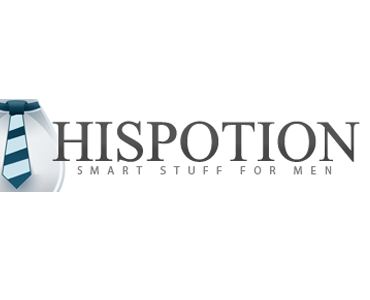 HisPotion receives on average 280,000 monthly pageviews from over 50,000 unique readers. Description: This is an opportunity to sponsor a post about your product or service and communicate with the HisPotion audience directly. The post may include up to 2 images and 1 nofollow link. Requirements: The product or service must be very relevant to the HisPotion community. Nothing pornographic. Must provide quality images and enough information for approval. Description: This is an opportunity to sponsor a post about your product or service and communicate with the HisPotion audience directly. The post may include up to 3 images and 1 dofollow link. Description: This is an opportunity to sponsor a post about your product or service and communicate with the HisPotion audience directly. The post may include up to 10 images , a video, and 2 dofollow links (not the same link). Description: This is an opportunity to sponsor a post about your product or service and communicate with the HisPotion audience directly. The post may include up to 20 images, one video, 2 dofollow links (not the same link), and a badge saying HisPotion endorsed. The post will also be promoted on the fundamental list-on site, right sidebar, each site page, and shared on Facebook + Twitter accounts. For other options including but not limited to custom site skins, hosted product giveaways, endorsed relevant content, sponsored announcements or events, please contact Advertisers@AdvertiseWithin.com.